Welcome to the "ARUBA PARTNER SUMMIT 2013 " Digital Caricature download page! 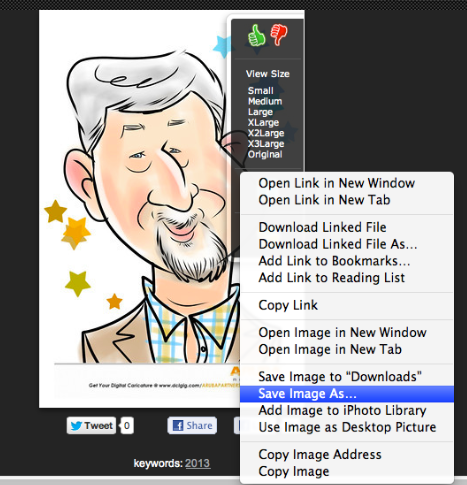 All you need to do is right click on your image and "save to ..." desired location/ desktop! See Right-• We also offer an easy, low cost print and delivery service starting at $3.00 - See buttons below! Download Your Sketch for Free Here!